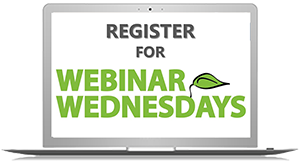 Catch Our Last Webinar Before May! Ever heard of cellular agriculture? How about koji and chlorella? Find out about this ground-breaking technology and new protein sources and how they are opening the door for new meatless sources of protein. We are wrapping up the Best of #SNIC19 series with the webinar, “The Evolving Agricultural Landscape - Enabling a Plant-Based Future,” on Wednesday, March 27, 2019. This fascinating look at the latest trends in non-animal proteins will not only give you exciting new menu ideas, you can rest easy that they will be sustainable and affordable… this is why scientists and food growers alike are focusing their efforts on producing them. Not all protein sources are created equal. What will the future of protein look like? Given cultural diversity, dietary trends—including veganism and evolving technology such as cellular agriculture, school nutrition professionals have an opportunity to address future proteins on their menu. Join Kellogg’s as they examine the challenges of feeding future leaders with optimal nutrient profiles that rival animal proteins while meeting regulations in school foodservice. • 13.2.2 Evaluates and incorporates individual and target group needs and requirements in order to develop menu items. • 13.2.7 Modifies recipes and menus that accommodate diverse health, economic and cultural needs in order to achieve nutritional goals and requirements. More from the "Best of #SNIC19" Series Coming in May!